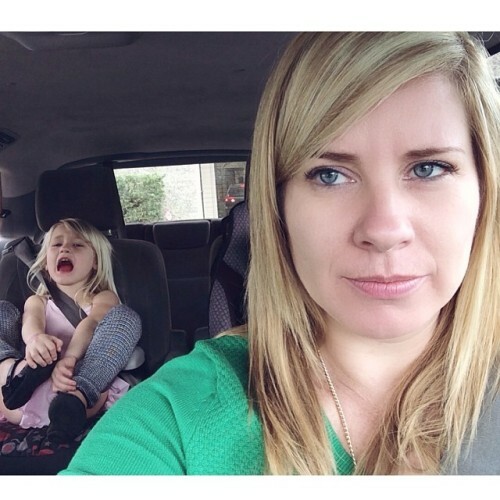 Top teen pet peeves while driving in the car with kids. 1. When my kids act like it’s a restaurant. I swear, we can be at home for hours, where there is plentiful food in the fridge, and we get in the car for 10 minutes and suddenly they are famished. Starving. Cannot make it another minute without sustanence. I am constantly reminding my children that there is no kitchen in the minivan. 2. Backseat DJ’s. My kids are at the age where they have very distinct ideas about music. And they are a picky and demanding bunch. As soon as we get in the car, they are yelling out their requests. And it’s a mutiny if we go somewhere without a One Direction song. 3. Backseat drivers. I have one kid who is great with directions. I, however, am not. And this kid really likes to correct me when I’ve made a wrong turn. I’ve now got all four of them on red light duty, reminding me to go .02 seconds after the light has changed. Good times. 4. The potty problem. WHHYYYYY do they only need to use the bathroom once the car starts moving? Why? 5. Farting. I have tween boys. And I have, more than once, threatened to make them walk home if they bomb the car again. 6. Fighting. If often seems like my kids’ favorite pastime in the car is provoking one another. The poking, the elbowing, the insults, the sarcastic remarks. It drives me insane to listen to them bicker. 7. The need for screens. Our minivan has a DVD player in it, and while I know it’s a nice feature, I also hate that it’s an option, because it makes my kids jones to watch a movie every time we get in the car. Why can’t they just stare out the window and daydream, like we did when I was a kid? GET OFF MY LAWN. 8. Wanting to show me things. Do they not realize I need to watch the road? Once in the car, it’s show-and-tell time. Look at my boo-boo! Look at this face I’m making! Look at the dance I’m doing! Look at what I made at school! 9. The mess. I swear, my kids think the floor of the minivan is a trashcan. They are generally consider people who don’t litter until it comes to the car, in which case everything just gets thrown on the floor. 10. Parents who cam’t follow the rules at school pick-up. Okay, this one isn’t related to my own kids, but it’s my biggest peeve. There is a special place in hell for parents who drive poorly and fail to follow the lane rules at school pickup. You wanna swerve your car around other waiting cars to pick up your special snowflake? I’m judging you. Distractions happen. Quick braking, swerving and disaster-avoiding vehicle maneuvers we make daily have a notable effect on your car’s shocks. The one thing we can manage is this critical need of safely steering and stopping your car. Keeping your shocks in proper working condition is a part of driving safely with your family. Worn-out shocks can affect other critical suspension and braking components of the vehicle. Protect your family by including shocks in your preventative maintenance routine. Be proactive and ask your mechanic to inspect your shocks when taking your vehicle in for a tire, brake or alignment service. For more information on shocks and car safety, check out Monroe Shocks and Struts’ website, as well as their Facebook page.